A few days ago i wrote the review of Askmebazaar website new application ‘AskMe’ for mobile phones. It is a great platform to know different things and specially getting some great deals. The deals that Askmebazaar gets from different seller is displayed on a new platform called DealGuru which comes under AskMebazaar. DealGuru as the name suggest is the guru of all the deals that you can get online. Most people have started buying products online rather than going in shops and choosing, & the best reason i can think of is the great discount and convenience. Online shopping has revolutionized the process of buying products. DealGuru is an online platform where you can get some of the best deals in India. There are a huge variety of products you can choose from and that too at the best price. Askmebazaar is a well know reputed website and so is DealGuru. They have featured the Queen of Bollywood Kangana Ranaut for their advertisement which makes it a more attractive offer. Now the question arises is how do they manage to lower price without degrading quality of the product. Well there is no secret behind this but an intelligent business strategy. Askmebazaar has a wide network of sellers which are having products that they were unable to sell due to marketing issues. The products may not be sold due to excess production or whatever the reason it may be. Askmebazaar gives a platform to such sellers to sell their products. But this looks the same as other shopping websites except there is a catch. AskMebazaar first ask’s seller’s for a review product, their team analyzes it and decide some proper pricing for the item. Once the seller excepts the price, the item is listed on DealGuru website. Some of the money from total amount is given to DealGuru as commission fee and the rest is given to seller after the buyer is satisfied with the product. The buyer can always return the product if he does not likes the product. All the reviewing and photography of product is done by experts from Askmebazaar team, so you can easily trust them as they maintain good reputation. In short, all the sellers with excess inventory contact Askmebazaar, and majorly the users get benefited due to huge discounts and deals. They are currently operating with more than 1000+ live deals with more than 900+ associated sellers. · AskMeBazaar requests product samples from sellers; reviews and identifies a suitable price, and upon confirmation from seller the deal is made live on DealGuru. 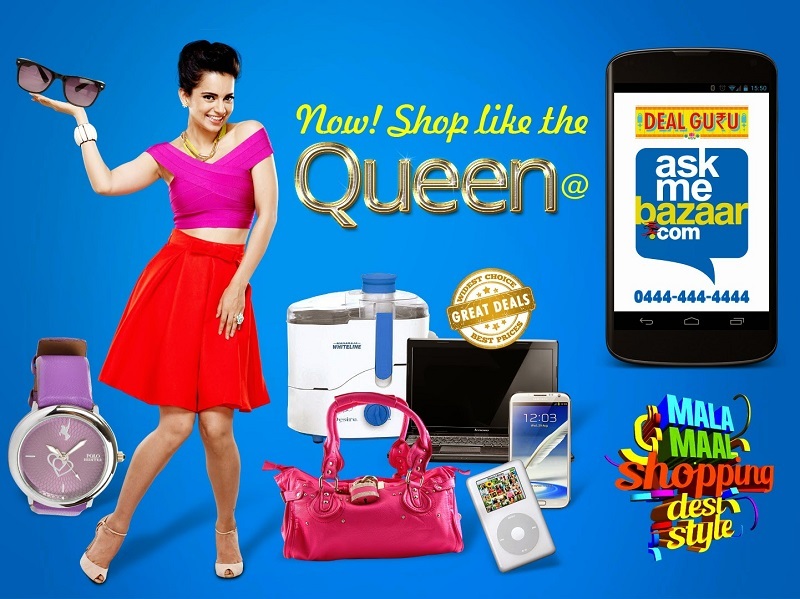 · All photo-shoots and content is generated by AskMeBazaar for the product. · DealGuru generates orders and deliver’s goods to the buyers. · Confirmation call made to buyer upon delivery. · Post successful delivery the amount is transferred to the sellers after due deduction of fulfilment charges and commission. · If needed, AskMeBazaar also processes return requests. With so many categories to choose from and a huge discounts on all the products, you can highly benefit from DealGuru and make your shopping experience much better.